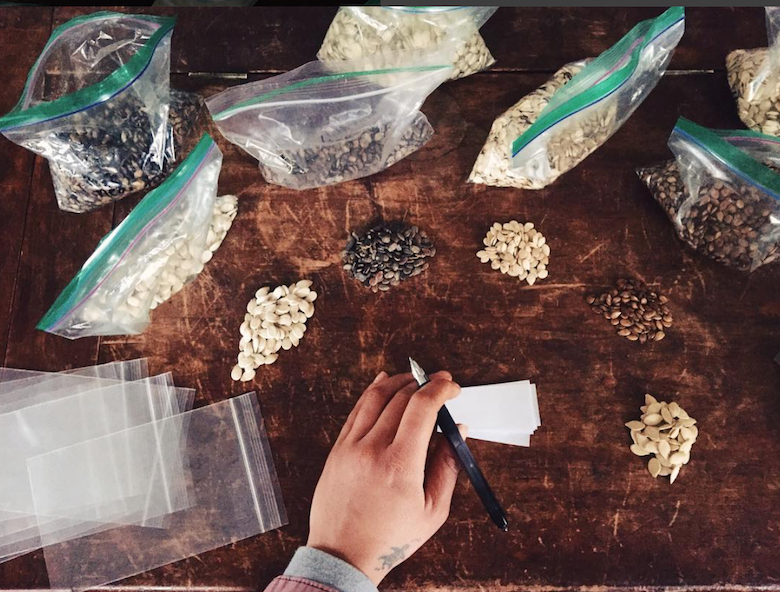 For indoor farmers, harvest starts now. While most gardeners have packed up and gone to watch TV for the winter, those with plastic hoophouses or glass greenhouses are still tending their crops. 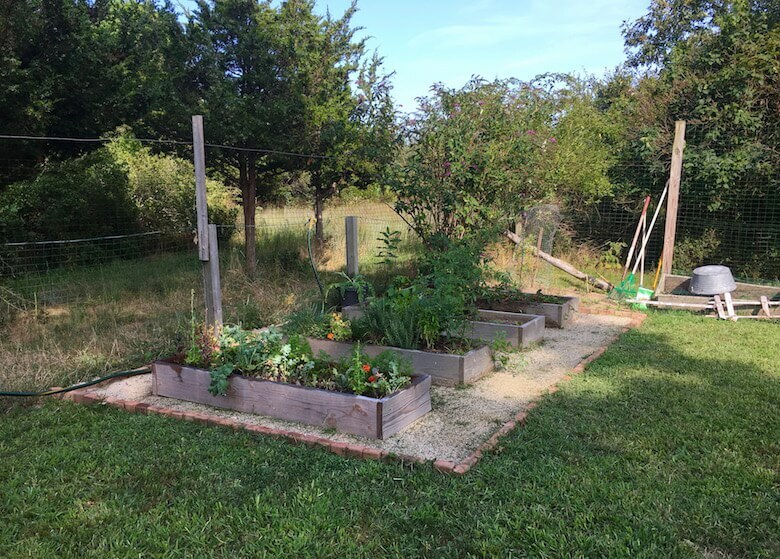 Lettuce, Asian greens, spinach, and arugula that were seeded in October and November are ready to harvest at the baby stage—thinning, really—while most can be left alone to provide winter salad greens. Of those four crops, lettuce is the most tender. But inside the hoophouse, and protected under heavy-gauge row-cover fabric held up by wire hoops, it will survive the coldest temperatures we are likely to experience. In the morning after a really cold night, it will look as if there is no hope for it. It will be wilted, sad-looking, and just about ready for the compost heap. But wait until noon and it will have picked itself up and look just fine. My favorite winter varieties all have French names: Reine de Glaces, Rouge d’Hiver, Brun d’Hiver, and Val d’Orge. The Asian greens—especially tatsoi—don’t seem to mind the cold at all. I have walked through a frozen and windswept winter farm field dusted with snow and picked tatsoi rosettes. Given the most minimal protection it will thrive, and even grow a little. 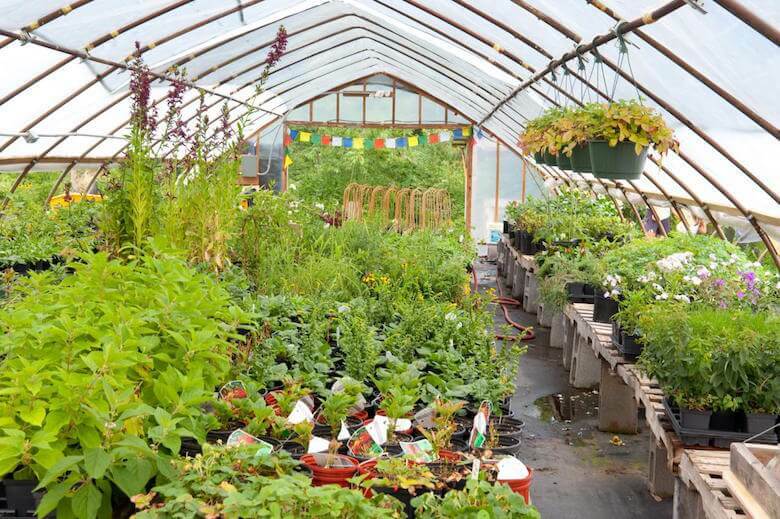 If you treat it to the luxury of double protection—row-cover fabric tunnels inside a plastic hoophouse—it will thank you by continuing to grow and expand, albeit slowly. Spinach and arugula are not quite that cold-hardy, but they’re not far behind. Whether you favor smooth-leaved spinach or the savoyed kind with crinkly leaves, you will be able to enjoy your own fresh-picked spinach salad in February when everyone else is buying spinach from 3,000 miles away. My favorite variety is Bloomsdale. Arugula’s finely lobed leaves do need some protection, but before I built my hoophouse I kept it going through December with just a heavy straw mulch. Other good winter crops are kale (red Russian and true Siberian), radishes, broccoli raab, cauliflower, collards, and leeks. Aside from the fresh produce, one advantage of winter gardening is that there are virtually no insects or diseases to contend with. 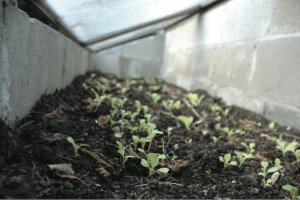 Something to watch for, however, is the emergence of soil-dwelling pests that react to the warmer soil in a hoophouse. Even if a few do show themselves, they are so lethargic that they don’t pose a problem, but you might make a note to invest in a few million beneficial nematodes in the very early spring. You mix these microscopic critters in water, in a watering can, and just water your soil. They burrow down and prey on the larvae of any Colorado potato beetles, Japanese beetles, or rose chafers that might be down there. Having watched helplessly as the huge plastic cover of my large hoophouse blew off in a March storm, I can attest (too late!) to the value of hold-down straps. These sturdy fabric straps cross over the top of the structure, and are secured on both sides to spiral steel ground anchors. If I’d had those in place I would have saved myself a mountain of work and several hundred dollars in repairs to bent steel tubing and a new plastic cover. As we get into March, summer crops can be started inside the hoophouse. Carrots, parsnips, turnips, cabbage, parsley and several kitchen herbs will be ready six to eight weeks earlier than usual if you give them this jump start. A late summer or early fall planting of these will also keep going into the winter. Even the most minimal protection will allow you to gather bunches of parsley in the deepest, darkest depths of winter. This is a good time to think about getting a shade cover for your hoophouse, so that you will have it when the spring sun starts pushing interior temperatures higher than you want. Shade cover is an open-weave plastic fabric; depending on the density of the weave, it can provide anywhere from 30-percent to 80-percent shade. I go for the middle position with a 50-percent shade cloth, cut to size and fitted with big brass eyelets along the edges so I can tie it down. It dramatically reduces hoophouse temperatures when draped over the top. It’s pretty tough, and given reasonable care it will last for years.